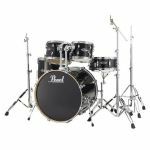 Pearl Export Drums make a triumphant return in the form of two new series - the Export EXX and the Export EXL or Export Lacquer. 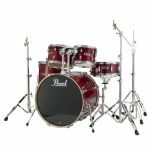 Pearl felt it was time to change the entry-level drum kit, focusing on sound and quality. 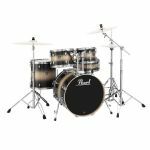 Drawing from their award winning reference series kits, pearl developed these new Export Kits by blending high quality Poplar and Asian Mahogany for a fuller, richer tone and feel. Pearl believe the export to be the best in its class. The new Export Drums feature S.S.T Superior shell quality, Opti-Loc Tom mounts, 830 hardware with a P-930 Demonator pedal. 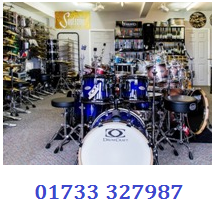 The EXX versions come in a choice of five great colours, whilst the Export Lacquer or EXL kits come in a choice of three. Each version is available in numerous configurations. Export Drums make a triumphant return in the form of two new series- Export EXX and Export EXL.